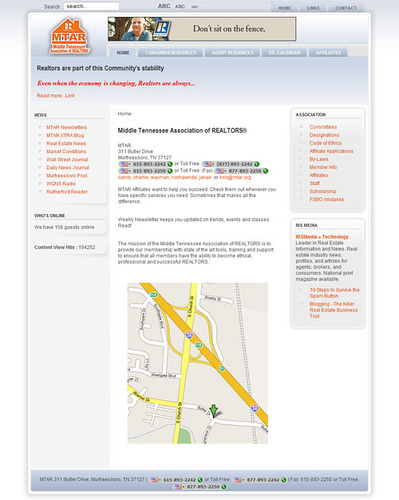 Middle Tennessee Association of Realtors – This is a very high profile and heavily visited website – the portal of choice for Middle Tennessee Real Estate Professionals. The Staff keeps this site updated and posts new content daily. It is not uncommon for there to be 150+ users online simultaneously and much more during peak traffic periods. 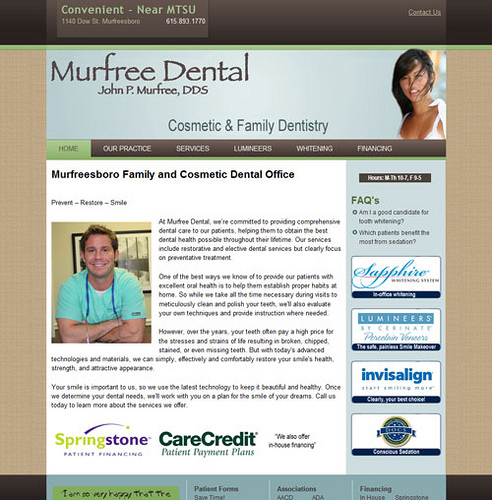 With his new website, Dr. John Murfree invites you to learn about the latest in sedation, cosmetic, and family dentistry! 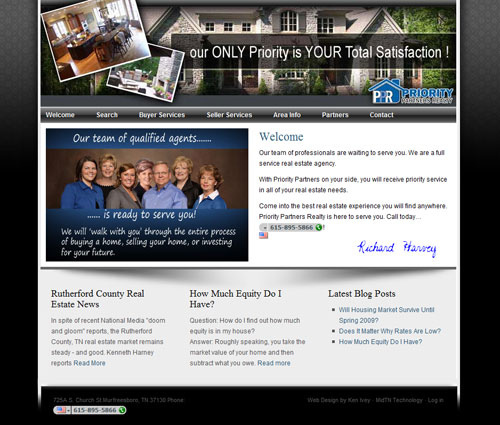 This Murfreesboro Realtor also went “all in” for the latest web technology, and offers many useful web tools for the home buyer or seller. 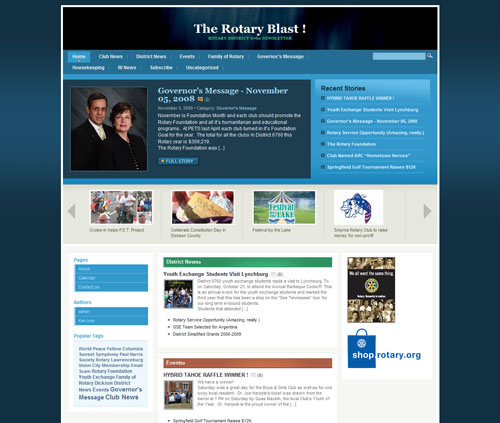 The Rotary Blast is a companion website to augment The Rotary Blast newsletter, which is distributed to over 3500 Rotarians throughout Rotary District 6760, and area encompassing nearly one half of the state of Tennessee. WGNSradio.com is Rutherford County’s first source for news. They needed a flexible website that could also stand up to an onslaught of web traffic – as well as handle multiple authors of web content. WGNSradio.com also needed to integrate a robust advertising module as well as the latest technology for news feeds, traffic, and weather reporting. 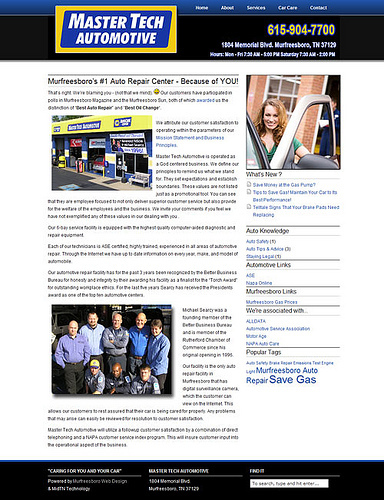 This website is one of Rutherford County’s busiest – and best.